Once again, it’s time for the annual Internet Cat Video Festival, held this year at CHS Field, the new home of the St. Paul Saints. This year’s event, hosted by the Walker Arts Center, will feature videos curated by Will Braden, who created the Henri Le Chat Noir videos and the festival’s first winner of the Golden Kitty (People’s Choice) Award. Besides showing cat videos, the event will also feature: photo ops, art adventures and other “meowvelous” fun. Radio personality Barb Abney of Go 96 will host the event. The festival will take place on Wednesday, August 12 with a scheduled start time of 6:30 p.m. Tickets are $10 for adults and $6 for children ages 6-12. This event is ASL interpreted. 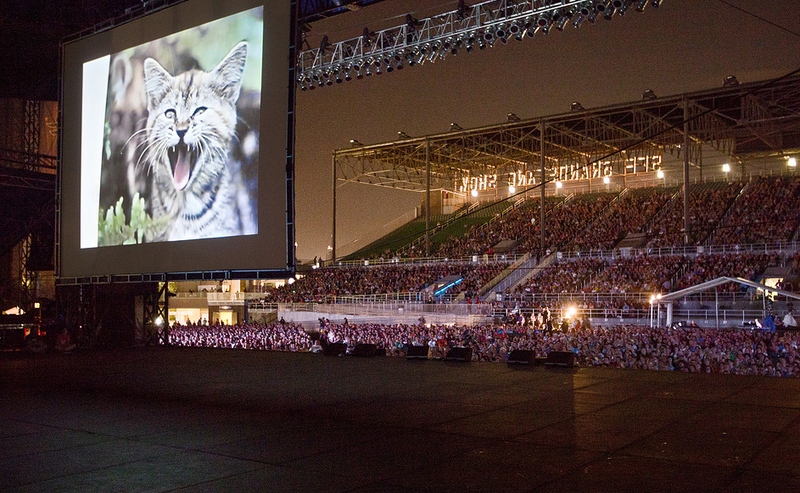 The Cat Video Festival was first put on by the Walker Arts Center back in 2012 as part of its summer schedule of outdoor programming on Open Field, the Greenspace adjacent to the museum. The idea was to put on a festival showing the Internet phenomenon of cat videos. Initially, the question was would people go to something where they would otherwise be able to see at home or work with just a few clicks? Word of this event spread internationally via social media and in the press including: the BBC, the New York Times, Japanese Television, Australian Talk Shows and Brazilian newspapers to name a few. This resulted in around 10,000 attendees at the first festival. The festival got similar crowds when it was held at the Minnesota State Fair Grand Stand in 2013 and back at the Open Field last year. The success of this event has also resulted in an international tour. If you would like to find out more information or to purchase tickets, follow this link.